When Beautiful: The Carole King Musical (touring company) opens on January 30th at Clowes Memorial Hall in Indianapolis, it will have a local connection with Tanglewood Publishing. In March, Tanglewood will publish 806: A Novel, a young adult novel by legendary lyricist Cynthia Weil – one of the main characters in the show. Beautiful: The Carole King Musical is a jukebox musical with a book by Douglas McGrath that tells the story of the early life and career of Carole King, using songs that she wrote, often together with Gerry Goffin, and contemporary songs by Barry Mann, Cynthia Weil, Phil Spector and others. 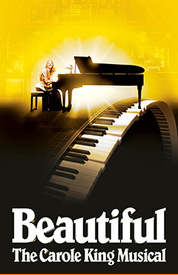 The original production of Beautiful: The Carole King Musical received its world premiere in San Francisco, in October 2013, and made its Broadway debut at the Stephen Sondheim Theatre in January 2014. A U.S. tour launched in September 2015. 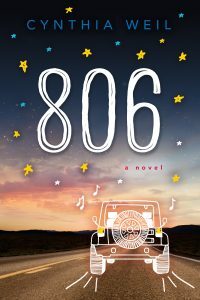 806: A Novel takes readers on a life-changing road trip with more than a few twists and turns. Taking on the thought-provoking topic of sperm donor kids seeking their father while facing challenges and disappointments along the way, the story is balanced by its humor, newfound familial relationships, and heartfelt moments. Teens will connect with KT, Jesse, and Gabe for different reasons during their journey as they race through the book to discover how everything turns out. Spoiler alert: there’s a happy ending! Cynthia Weil is best known as the lyricist of “You’ve Lost That Lovin’ Feeling,” the most played song of the 20th century, Grammy-award winner and Oscar-nominated “Somewhere Out There,” in addition to such classic songs as “On Broadway,” “Just Once,” “Here You Come Again,” “Don’t Know Much,” “He’s So Shy,” and “We Gotta Get Out Of This Place.” Collaborating with her husband, Barry Mann, and others, she has written countless standards. Weil has been inducted into the Songwriters Hall of Fame and The Rock & Roll Hall of Fame (only the 3rd woman to receive this honor in the non- performing category). She has been honored by the Grammys with multiple nominations and two awards. Find out more about Cynthia Weil at mann-weil.com or 806Novel.com (coming soon). Tanglewood Publishing was founded in 2003. An independent publisher now based in Indianapolis, Tanglewood boasts a roster of award-winning authors and illustrators. Through humor, adventure, disaster, disappointment, friendship, and love, Tanglewood brings the authentic young reader’s voice to the forefront for an unforgettable page-turning experience, opening up the doors to more adventures rooted in more pages. You can learn more about Tanglewood Publishing at tanglewoodbooks.com.